Nina Garcia calls burgundy “the new black”. Even though I don’t plan on replacing the black staples in my wardrobe, after seeing these chic outfits I totally agree that burgundy is a fantastic addition for fall. Not only is it easy to pair with other neutrals; white, navy, beige, black and gray, but its rich hue will add a touch of boldness to your fall outfit. Keep scrolling for burgundy inspiration below. 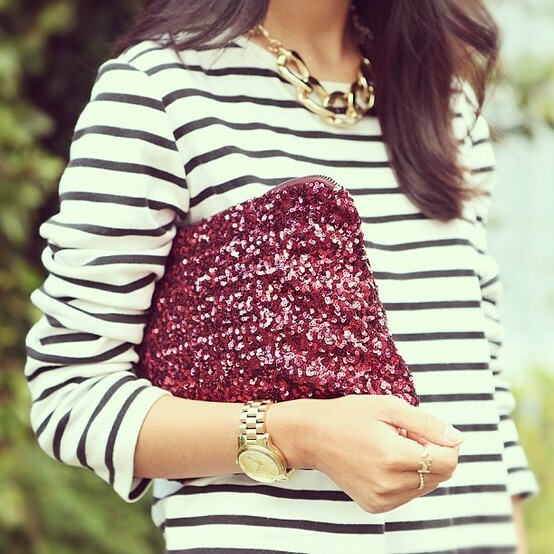 My favorite look is the cozy burgundy cape paired with leopard loafers and stacked bracelets. Which one’s yours? So call it what you like; maroon, burgundy, wine or even oxblood… I’m thanking the fashion world because it’s the perfect trend for us Aggie girls (and anyone else who happens to support maroon!). So go ahead and stock-up on game day attire. There are so many great maroon blazers, jeans and handbags to choose from this season. 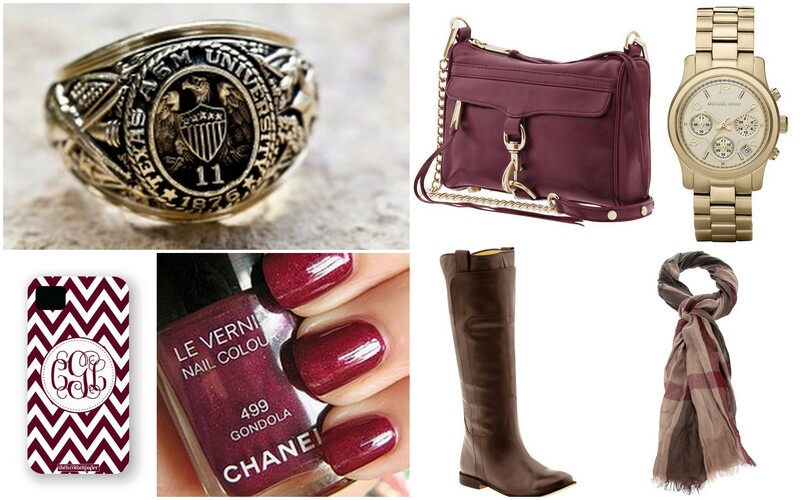 Here are a few items on my wish list for fall… they’d all look great with an Aggie ring! Sources: Aggie Ring photo by Doug Klembara~ Mini MAC Handbag by Rebecca Minkoff ~ Runway Watch by Michael Kors ~ Personalized Texas A&M iPhone Cover from Then Comes Paper ~ Chanel Nail Polish from All Lacquered Up ~ Paige Tall Riding Boots by Frye ~ Burberry Brit Check Scarf from Polyvore. Of course, I’ll be supporting the maroon and white as we take on Arkansas this weekend. Who will you be cheering for? This is great! I actually wrote a similar post on Burgundy a few days ago. That’s awesome, I’ll have to check it out! Thanks! burgundy and leopard print all the way!!!!!! Want more? Enter your email address to receive charming new posts via email.